Grassroots Herbalism Online Herbal Course? Are you a spiritualy oriented healer ready to apply your herbal learning? ★ Do you love plants? ★ Do you love Mother Earth? ★ Do you want a vocation you can believe in? ★ Do you want to meet other herb lovers? If you’re like many of the people we work with, you see plants not only as beings that give us oxygen, shelter, clothing, fiber, beauty and delicious food but also as something more - maybe as teachers that bring us much needed healing and give us lessons about how to live. Even if you don’t believe in plant devas, you kind of like the idea and believe that plants are not only alive but sentient and can communicate with us. You believe that working with plants and the natural environment is intimately connected with deeper emotional, psychological and spiritual healing. And so you’re drawn to learn more about how to work with the plants. Register early and receive a reference list to books, videos and web sites that go with the modules. Also get access to our Learning How to Learn module. This way you can get started on some of the content right away. My book is one of the required texts of the course. Digital and print copy included in the price of the course. The course is 6 months long. During the first three months we provide weekly, live webinars (recorded and not mandatory) to motivate students to get as much of the course completed in the first 12 weeks. During each webinar we work on different assignments from the course. Some students are able to complete the work within the first 12 weeks, others use the extra three months to finish. "Let me be real here, it is a struggle connecting with a real herbal education. There are a ton of online herbal education courses. They run the gamut; we can choose from intensely in-depth or casually light, we have general comprehensive courses as well as a plethora of modality specific programs. With so much of our lives online there is a deep longing for “realness” and authenticity. We have what seems like infinite options, and it’s a job in and of itself to figure out what we want. Then we need to find how to get there, and hope that the process accesses the deep aspects of experience our souls crave … it’s a tall order indeed. Truly Don’s program met so much of my searching. The initial feeling when I jumped on the program was relief. The plants themselves can fully shine when the teaching, intention and framework is dynamic, honest, and engaged. Authenticity and genuine connectivity catalyze real learning and by extension (hallelujah!) personal growth. Don and his herbal mentorship collective (and I’m truly honoured to count myself among such awesome company) are actively, effectively, and dynamically facilitating real connection and understanding of real plant teachers and the herbalists who work with them. I’m grateful." 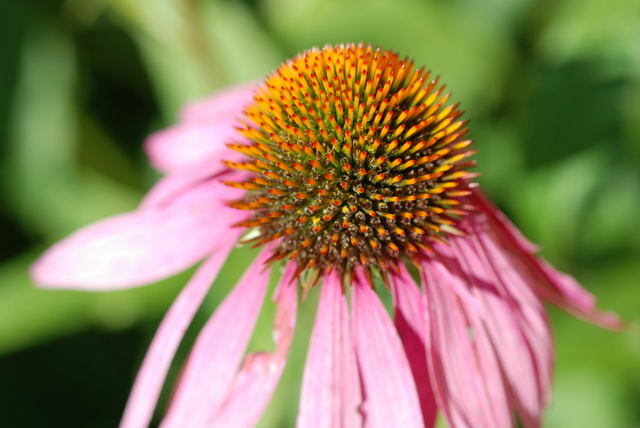 The Herbal Online Course is a dynamic, process-oriented, open learning system. Being open it responds to feedback from the students. A metaphor for this course could be a journey, a path, or a tree. For many it is a self-healing journey and for others it provides the foundation of training to become a practicing herbalist. The course is unique and comes with the guidance, mentorship and support of an herbal elder who will help you on your journey of self-discovery and healing. Open for Registration until October 7, 2018. Note: price in US currency. Price includes digital and print copy of Pathways to Healing, a Guide to Herbs, Ayurveda, Dreambody and Shamanism by Don Ollsin. Are you confident that you have a solid knowledge of key herbs and their uses? How do you decide which herbs to study? How do you choose which herbs to use for yourself, your family, friends and clients? How do you prepare, administer and apply the herbs? What is an herbal ally? How did pharmaceutical medicine become the dominant medical practice? We will explore the numinous quality of herbs. Learn about herbs that grow in the wild and those found in an apothecary garden. We will plan our own natural pharmacy garden. Learn about important herbs that nourish our bodies. Discover which herbs to use to help bring about desirable changes in the body. We will cover wildcrafting and introduce you to United Plant Savers. You will learn about the importance of probiotics. Without healthy bacteria in our bodies we cannot receive the optimum benefits from herbs or foods. You will also learn about propolis, Don's favourite natural remedy. During this section you will learn about creating a Materia Medica. You will also learn about the various properties of herbs. We will look at the Western language of herbs, in the sense of their properties. Making herbal preparations such as: Tinctures, Infusions, Decoctions, Oils, Salves, Poultices, Syrups, Homemade Kefir, Smudges, etc. This section enables you to make your favorite herbal remedies that you can trust completely. It provides you with a new skill and a way to apply your knowledge by sharing or selling your unique preparations. The extracellular matrix (ECM) is the non-cellular component present within all tissues and organs, and provides not only essential physical scaffolding for the cellular constituents but also initiates crucial bio-chemical and bio-mechanical cues that are required for tissue changes, differentiation and homeostasis which means it is an active dynamic regulating system of the body. It is the total environment for the cells and the cells are completely dependent on the matrix. We will learn how all body systems are connected and regulated by the matrix. Have you been taught the best practices to make your learning stick? What are the best practices to get the most out of your studies? We cover Mihaly Csikszentmihalyi and the Flow Paradigm: Awareness of our challenges and our skills to meet them is the essence of flow. We set the bar too low and we are bored, too high and we are stressed. Types of Learning: Experiential learning is the model that this program embraces. Mind mapping: Don is an avid mind mapper who has created thousands of mind maps with and without the computer. A number of his students who are doing university degrees or other programs at the same time that they are studying with him, find that their grades substantially improve through the use of mind mapping. In this section we cover the power of paradigms and how they shape our worldview. We look at the metaphors we live by. We will also explore the systems view of life. Do you know that allopathic medicine is a linear paradigm based on three-hundred- year-old Cartesian thinking? Do you think of your body as a machine? What metaphor or metaphors do you live your life by? Do you live in a reductionist or holistic paradigm? Do you think most diseases have a single cause? Can deep transformative healing be achieved through pills? We cover Metaphors: juggling balls as a life metaphor is very stressful compared to a life metaphor of a tree, for example. We explore Systems Thinking: this truly is a detox from a potentially damaging paradigm (reductionism). The deeper that we understand systems and are able to communicate systems thinking, the better herbalists we will be. We look at Paradigms: if we do not understand the paradigms that we are using and living, we are unaware how they shape our life. Paradigms are only consensual reality constructs but they shape our thinking and perceptions. Do you think that dreaming only happens at night? How is a symptom a body dream? How many channels or paths can dreaming communicate through? We explore Dreambody and learn how dreaming communicates through the nine pathways. Your body has dreams just as your mind has. It dreams all the time. By paying attention to your body's dreams, you experience better health and a greater sense of aliveness. This fascinating unit is about what our dreaming bodies are trying to communicate about how we are living and the direction we are taking in the material world. In this unit you will learn the healing wisdom that will help you to weave the material world and dreamworld together, hopefully providing you with an experience of an increased sense of wholeness and health. 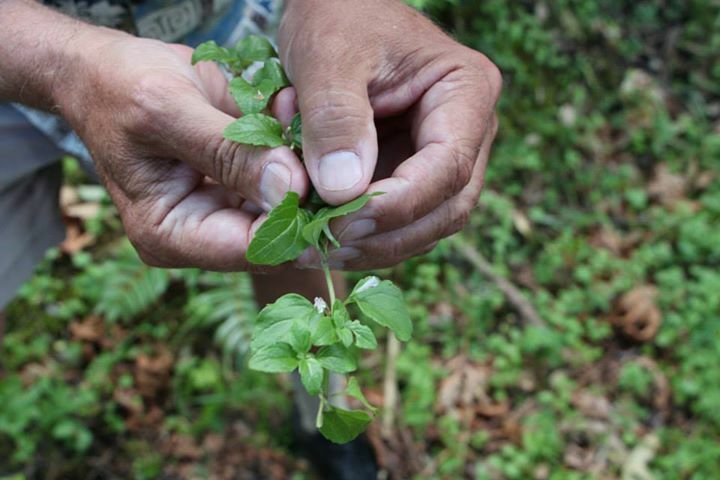 We use Shamanism to find our herbal allies, plants which we can develop a deep relationship with, to enhance our healing. Do you know how the seasons, the times of the day, and the cycles affect the quality of your life? What is the best time to administer medicine based on the organ or body system you want to affect? How can you find out if you are predominately a fire, water or air constitution, or maybe a blend? What is the best way to treat an air, fire or water person when they are out of balance? How does excess air, fire or water manifest when it is out of balance? During this lesson you will learn about Ayurveda, the world's first medical system, which is a science that considers the relationship of body processes, the outside environment, diet and emotional health. Illness is seen as an "imbalance;" which can be restored through natural treatment using meditation, herbs and cleansing. Ayurveda is an ancient, complex system of medicine. The profound healing wisdom of Ayurveda originated in the ancient culture of India and is thought to be the oldest natural healing system, pre-dating even Chinese medicine. The word "Ayurveda;" means "knowledge of life" in Sanskrit. Over five thousand years ago the ancient seers of India imparted to their disciples the truths they learned about the Universe while in a supra-mental state of meditation. This knowledge exists today in text written in Sanskrit, and contains the secrets of the interaction of body, mind and soul within the context of the fundamental elements of Nature and the Universe. It is a practical, all-encompassing science which embraces the whole person in relation to the outside world. At the heart of Ayurvedic medicine is the concept that the elements are represented in the human body through Doshas (pronounced Doe-sha). As you will see when you complete this lesson, you are predominantly either a Vata, Pitta or Kapha dosha (or combination of any of these). Respectively, the Sanskrit words Vata, Pitta and Kapha mean Air, Fire and Water. During this module you will learn how to conduct a thorough herbal wellness consultation. The goal of this module is to understand the consultation process and all that is involved in an holistic herbal consultation. How do you conduct a consultation to help a person become more aware of what creates health and what causes disease? What are the best herbs to use for the symptoms presented, that do not upset the person's dosha? What does a client's relationship(s) have to do with their body symptoms? How do you read feedback and know whether your client is responding positively or negatively to your questions and suggestions? We explore all aspects of a person and what contributes to their symptoms - i.e. : lifestyle, relationships, work, environment, their spirit and how they nourish themselves. We use Western Herbalism to determine which herbs are best suited to each client, based on the latest scientific research, Don's decades of practice and research, as well as the consulting and Materia Medica work from mentees in the Herbal Mentorship Collective. We use Ayurveda to ascertain a client's dosha and how to balance any imbalances, proper application and dosage based on their constitution. We use Dreambody to look at the dreaming process behind any symptom and how it manifests in different areas of their life. We learn to read feedback. We use Shamanism to help clients find their herbal allies, plants which they can develop a deep relationship with, to enhance their healing. "My experience has been one of self-discovery and a deepening of my sense of place in the network of life. I found myself, through the process of the work, reconsidering the central questions that guide my life. How can I nurture my gifts? What do I need to do in order to nurture my gifts? How do I share my gifts? The holistic perspective of The Herbal Healing Journey is fertile soil and like plants we all require different conditions that are unique to us to grow and thrive. I learned to see the beauty in my personal process, to trust and surrender to my natural talents and inclinations while leaning into the edge where my challenges live." After successfully completing all of these modules you will be eligible to apply for Don Ollsin's Herbal Mentorship Collective. In our collective you can deepen your studies through applying your knowledge to real situations with real clients while being supervised by an herbal elder and supported by the collective. Some students may want to work towards becoming a registered herbalist (R.H.) with The American Herbalists Guild (AHG). The idea that things like dream work, shamanism, psychological healing work and plants work well together is not a strange idea for you. For you it’s ‘of course they do!’ (even if you couldn’t articulate why). A part of you has often felt that dis-ease isn’t something that happens to an individual as an isolated event that we need to fix but that, maybe, disease is relational (that our relationship to our food, job, the place we live, our lifestyle or the core people in our life play a profound role in our health. That sometimes it’s not what’s wrong with us but who is wrong with us). You also suspect that disease may, ultimately, be about being disconnected from plants, the seasons and the elements. You like the idea of focusing on enhancing our life, rather than being obsessed with constantly solving our problems. You are a strong-spirited individual who wants to empower herself with practical, empirical knowledge. You want to share your passion for healing with others. You care deeply about Mother Earth and you want to help heal her. You are innovative and you want to collaborate with other students in the development of an important body of healing knowledge for future generations. You want to learn from an elder who walks his talk and is willing to share the teachings he has gathered from a life dedicated to learning and healing. You are cautious about the reductionist approach to medicine. You want to learn a whole systems view to herbalism. Have the knowledge to learn which herbs are proven safe and effective. Learn a proven system that informs you about wise choices for your health, lifestyle, herbs, food, exercise, relationships and even vocation. Create a healthy lifestyle based on the seasons. Personally experience the effectiveness of the herbs, knowledge, tools and techniques that you are learning. Heal yourself while learning how to heal others.